Home>News>Badminton is looking for its future Champions! Does Badminton excite you and your kids? That is great news and we have some bigger news for you! Badminton Malta together with SportMalta are launching the new Badminton Academy as part of the #OnTheMove Programme. We will be kicking off the academy this summer with The Summer Academy and will keep on going with The Badminton Academy. But why is this such a great news for you and your children? 1. Badminton is a fast-growing sport! Ok. Football is great, we love basketball, handball and any other sport. They are all good for the general wellbeing, for keeping active for having a sporting career and also to watch, but we believe that Badminton is another great opportunity for all children who would like to have a bright future in sports! Badminton is fast, exciting and we believe it’s the next BIG THING. Just take a look below to see what it offers. 2. Badminton is the fastest racket sport in the world! The shuttlecock reached speeds of 332kph in a competition! It is an olympic sport that keeps everyone on the edge of their seat when watching it and the adrenaline high when playing it. The only unhappy guy here is the shuttlecock! An academy where we take things seriously, to give all we can to committed athletes, the perfect opportunity to learn, enjoy themselves and make the most out of this beautiful game. Are you interested to take your children to this new academy? We are starting the Summer academy very soon starting the 7th July. The foundation group will be practicing every Saturday from 8:30am till 11:30am and Sundays 8am till 11am at Kirkop Sports Complex. 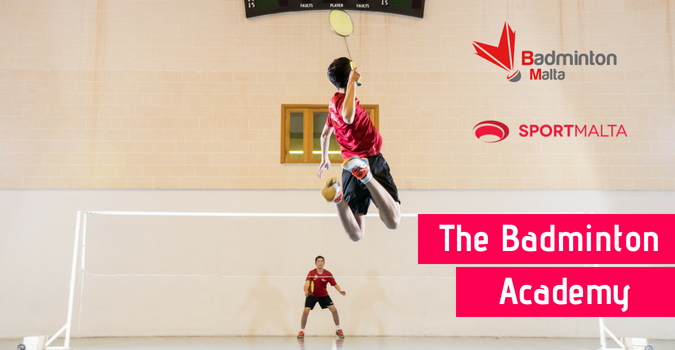 The #OnTheMove Academy is organised by Badminton Malta together with SportMalta and it only costs €60 for the whole summer! 5. Equipment will be provided. Don’t have a racket or shuttles? No problem! At The Badminton Academy we will provide your child with a racket to play and shuttles to hit! Above all we will assist them to start playing badminton while having fun and getting better in this beautiful sport! If you are not yet registered with Sportmalta, you need to create a Sportmalta Membership filling in all your details. Then go back to Programs and proceed with booking and payment.